I'm a HUGE fan of Wet 'n Wild products. If you didn't know this already, I'm frankly quite concerned. I became a fan of their products last year and have been hooked ever since. Recently, they have begun revamping their style and releasing new products. When I saw Nouveau Cheap's blog post about their new Fergie Centerstage Collection, my eyes got huge! I couldn't wait to find the products! It took me several trips to various Walgreens to find them, but I finally found the entire collection at a nearby store. 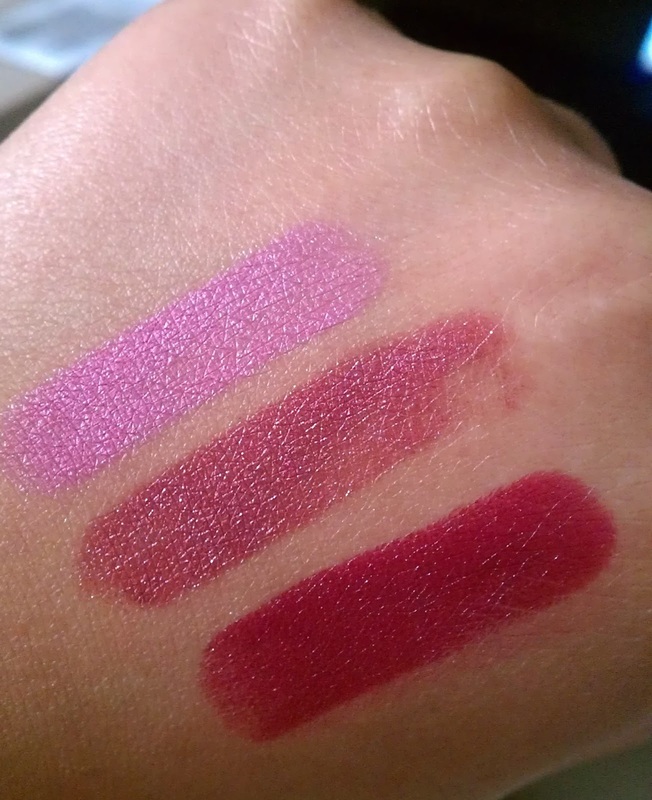 I'm a lipstick lover so I opted for three of the Fergie Centerstage Collection lipsticks. I purchased V.I. Pink (worn in this post), D-Vinely Chilled and Ferguson Crest Cabernet. As I stated previously, I am a huge fan of Wet 'n Wild. I own literally every Mega Last lipstick they sell. Now, because of owning every Mega Last Lipstick, I can see a lot of similarity in colors between the Mega Last Lipsticks and the new Fergie Centerstage Collection. In fact, I chose two of the three particular lipsticks (V.I. Pink & D-Vinely Chilled) because they did not appear to be similar to lipsticks I already own by Wet 'n Wild. They are the only two that stand out distinctly among the group in my opinion. Overall, I like the lipsticks a lot. In fact, V.I. Pink is a new favorite of mine. I do notice that they do not seem to last as long as the Mega Last lipsticks on my lips; however, the colors are pigmented and gorgeous. Out of the three, I loved V.I. Pink and Ferguson Crest Cabernet the most. D-Vinely Chilled was extremely dry for some reason. It was dry to the point where I do plan to exchange it for another color. Absolutely! It's Wet 'n Wild! Come on! I love the company and will continue to adore their products. 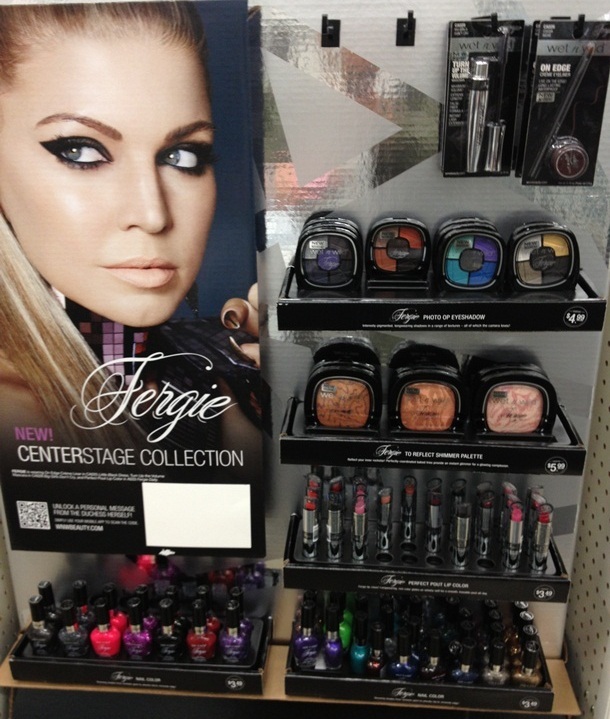 Have you spotted the new Wet 'n Wild Fergie Centerstage Collection in your area? I haven't seen this yet but those colors look cute! I can't wait to get my hands on a few of these! I want that V.I. Pink and I think there's another one called Fuchsianista that I want also. The V.I. Pink is gorgeous!!! Do you think the D-Vinely Chilled is drying in comparison to the others because it has a different finish? Honestly, I think it may be the different finish. A lot of companies can't master a shimmery color because it becomes gritty. That's how this was. Mainly gritty and dry. I really love how the V.I.Pink looked on you! I think I'm going to check out this line! I hope my CVS or Walgreens have them! I like the Ferguson one too! I need to check these out!!! Thanks for stopping by Ash! I am beyond pleased with them. Thanks Britton! Hope you can find them! I'm a wet n wild junkie too! Those colors and that price gets me every time! Yes, I have become a huge fan of Wet n Wild again myself! Some of their colors are so spot on for the more expensive brands it's hard to resist stocking up.